So this is interesting to me not because I’m looking for a job (I’m not), but because it’s a great window into how we market ourselves as professionals. Your resume is basically an ad of sorts, right? 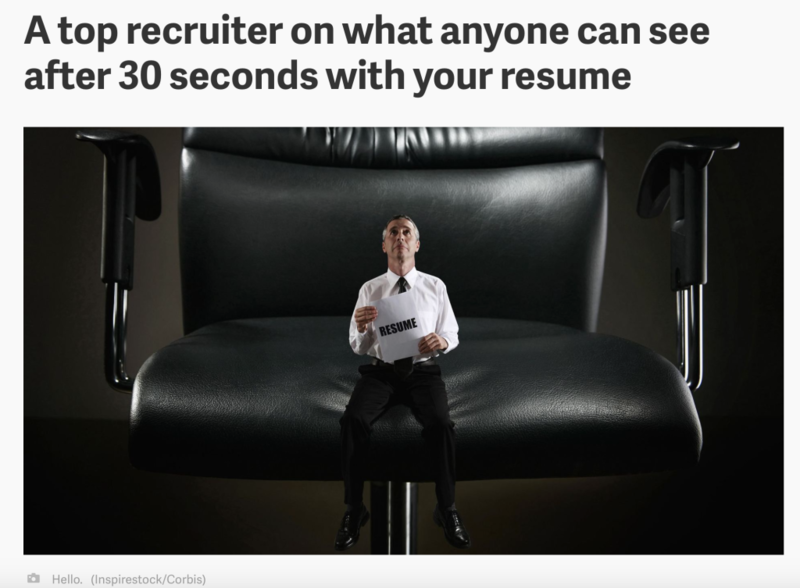 I would say so, especially if many recruiters are making the decision to pass or buy in under 25 seconds. Hiring has changed a ton since I first started working, and this article hits on some of the old biggies that have fallen by the wayside. For example, in many industries? Recruiters aren’t looking at education. At all. And many aren’t reading cover letters, either. They are, however, clicking through on all your links. Read the whole story here.